The wedding date is set, and life is magical for Doyle Flanagan and Cady Delafield. Yet trouble has a way of finding these two. Honor bound to repay an old debt, Doyle agrees to help a friend find her sister. As he searches for the girl, painful memories surface, stunning Cady when she discovers facts about Doyle’s hidden past. In spite of incredible odds, Cady and Doyle’s love has flourished. Now mired in tragedy and secrets, their happiness is in jeopardy. Their wits are put to the test when catastrophe strikes close to home threatening those Cady loves the most. Can they overcome the turmoil with a fateful decision that will change their future forever? This combo of genre blending has it all. Like romance? Check...we've got a wedding! Like mystery/suspense? You better believe there's some suspicious activities going on. There's drama, lots of sizzling kisses...and so much more. Set in the 1880's in the Midwest, I really enjoyed Proell's depiction of the time and how the setting really influenced the overall book. As Cady and Doyle march ever closer to their wedding day, secrets are revealed and threats begin to descend on the happy couple, trying to tear them and their big day apart. It was clear that this book was meant to give solid character development, both to Doyle as we look into his past and mistakes and see how he has changed, but also when we see how Cady deals with Doyle's past and how it influences her feelings about him. This book had a lot of emotions in it and I love it when I can feel right along with the characters. Having never read a book by Joyce Proell before, I found that I really enjoyed both her writing style and her characterization. As A Wicked Truth is the third of a series, I did find that I was a little lost at times. This led to me not really jiving with Cady at first. I felt like she was making decisions that I really didn't understand or support, but maybe would have had I had a deeper sense of her as a person... Still, I would definitely recommend the series, as Joyce's writing was dynamic and engaging. I do think you should try to start from the beginning if it sounds like a good read for you! Doyle changed into dry, clean clothes then went downstairs to the parlor to get Cady. Voices at the back of his house drew him to the kitchen where he found her seated at the oak table chatting to Booker. She sent the older man a mischievous grin which raised his skin color—a sure sign he was tickled or vexed. Doyle thought the latter. Booker was strictly a one-man show in his kitchen. Truth be told, he was hungry having last eaten soup six hours ago. No doubt the night would prove long and taxing. Nourishment would help. His plan was to sit with the patient a few hours, then make an excuse to send Cady and Mimi home. There was no point in the three of them spending the night, getting little sleep, especially if Ophelia was stable or unresponsive. “I’ve included coffee for you in Miss Delafield’s basket,” Booker said. He maintained a dispassionate face as he handed over the goods. He helped Cady into the carriage, joined her on the seat and they were off again. They rode along in silence, each lost to their thoughts and worries. He watched as her hands nervously opened and closed around the strap of her handbag. “Liar.” He smiled as she nestled closer. Joyce grew up in Minnesota and attended college and grad school in Chicago. After working in mental health, she retired at a young age to write full-time. Her first book, Eliza, was published in 2012. 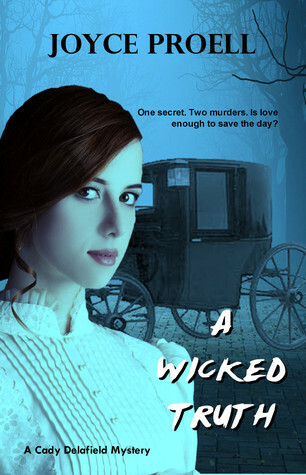 A Wicked Truth is the third book in the Cady Delafield series. 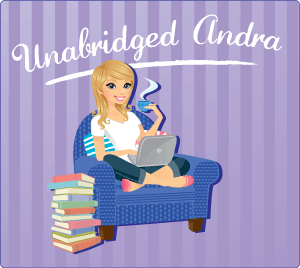 When she isn’t writing mysteries or historical romances, she loves to swim, walk and is a crossword puzzle fanatic. She and her husband live in Florida and Minnesota, in her very own little house on the prairie. Joyce will be awarding a $10 Amazon or Barnes and Noble GC to a randomly drawn winner via rafflecopter during the tour. Wow, the sound of this really has me intrigued. I want to find out what happens in the story.  Thanks, Andra for hosting and reviewing. I'm tickled that you enjoyed A Wicked Truth. Andra, I hope you can find the time to read the other two books. I love this series and you nailed the entire series in this one review. I love Joyce's writing and can't wait to read more from her. What's your favorite type of foreign food? I enjoyed reading the excerpt and your review. This book sounds like a very interesting read! Thank you for the excerpt! This sounds like a great book!